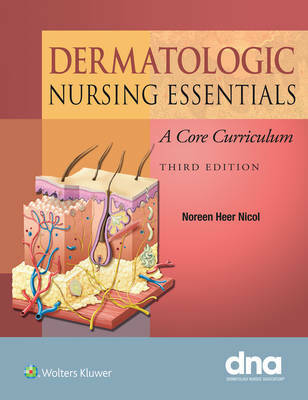 An official publication of the Dermatology Nurses Association, Dermatology Nursing Essentials: A Core Curriculum is the the definitive source for concepts and practices in dermatology nursing. It serves as an excellent review tool for certification, as well as day-to-day interaction with patients. Chapters include coverage of anatomy and physiology of the skin; skin assessment and diagnostic techniques; therapeutic/treatment modalities; diseases of the epidermis; dermatitis/eczemas; cutaneous malignancies; benign neoplasms/hyperplasia; cutaneous manifestations of systemic disease; connective tissue disorders; pediatric dermatology/acne; infections; aging skin; biologics; disorders of pigmentation; bites, stings, and infestations; cutaneous manifestations of HIV; wound healing; and psychosocial effects of dermatologic disease and psychodermatoses.